Lovely UNM area home in sought-after neighborhood. Home offers the charm of classic cove ceilings, beautiful solid oak floors, appeal of updates including kitchen with hickory cabinets, stainless appliances, solid surface countertops; refrigerated a/c and a new roof. Lots of natural light! Bonus room could be office, playroom, hobby room. Relax with a refreshment in the shade of the backyard pergola. Spacious backyard with drought tolerant plantings, raised beds and room for firepit/seating. Well-situated only 1.5 miles from UNM and even closer to the dining & diversions of Nob Hill. Two great neighborhood parks w/o crossing a major street! One of most convenient locations in ABQ..less than 4 miles to major hospitals, downtown, Popejoy Hall, pro baseball & soccer. Blocks to Whole Foods! 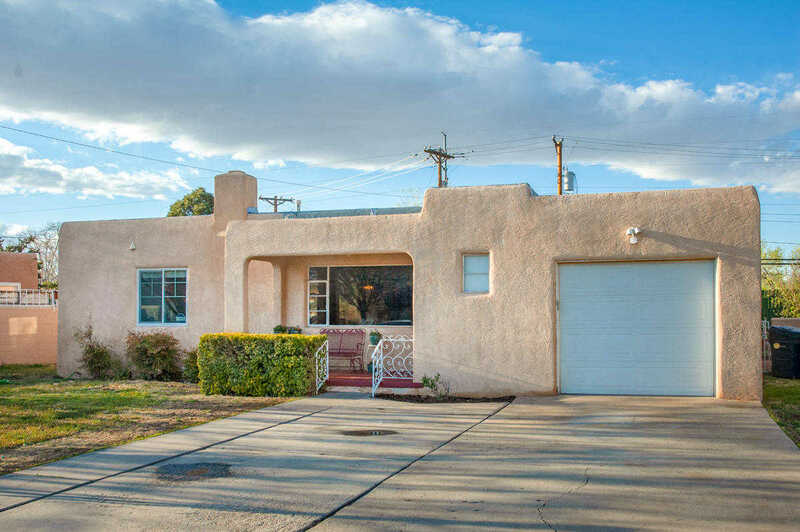 Please, send me more information on this property: MLS# 941671 – $320,000 – 3401 Calle Del Ranchero Ne, Albuquerque, NM 87106.